Experiencing adversity . . ? Then you’re suffering, right? Not necessarily, of course. At some level we all understand that emotional resilience is situational; we sometimes have it and sometimes lose it. We know that adversity can draw out and develop personal strengths. Resilience is not a rare quality limited to confident optimists with few negative attitudes. We may also accept that personal resilience is our own responsibility. Almost everyone has a degree of mental robustness and buoyancy that can be enhanced with practice. With it, we get through times of hardship faster and work better at everything we do. A calm, smooth-running mind saves wear and tear on the nervous system and provides vitality in the face of stress. But this understanding is not always sufficient for us to find composure in the midst of challenging turbulence. What can we introduce to our everyday lives for greater personal resilience when we need it most? Use adverse experiences to develop character and increase our capacity for thriving. 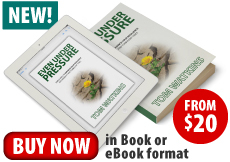 Even Under Pressure draws on Tom Watkins’ dedication to releasing energy for personal and organisational progress during his 35 years of professional coaching, training and mentoring in New Zealand and Australia. 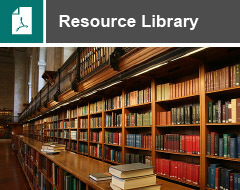 In this book he introduces a wide range of initiatives, strategies and habits of mind that support immediate progress and longer-term development of greater personal resilience. Available now, as an eBook or a hard copy.